Although you may be able to take a class inspired by Anthony Bourdain's life, carving out a career for yourself that's even remotely similar to the late globe-trotting celebrity chef's remains a pipe dream for most. However, you could potentially get a taste of what it's like to get paid to visit remote places and eat and explore like a local, thanks to a new dream job that's looking to hire one lucky person to travel around Thailand for a few weeks and star in a documentary about the country. This incredible new gig is being offered by the folks at DreamJobbing, who've teamed up with the Tourism Authority of Thailand to find one lucky person to go on an all-expenses-paid journey around the Southeast Asian country living like a local and documenting the "ultimate local experience." That means whoever gets tapped to go will be staying with locals rather than crashing in hotels and sharing their experience in real time with the DreamJobbing audience. There will also be a professional crew filming in tow, turning your trip into a documentary for Amazon Prime Video. 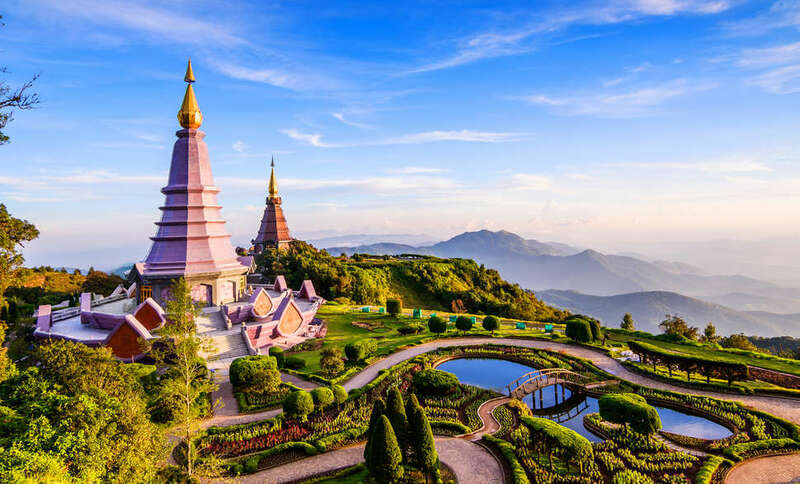 For now, there's no planned itinerary, though some destinations and activities under consideration include meeting with an up-and-coming chef in Bangkok, seeing the temple city of Wat Phrathat Doi Kongmu, and staying in a local fishing village, among others, according to AFAR. What is for certain is whoever gets picked will spend about two or three weeks roaming the country between January and February 2019. In addition to having your airfare and in-country expenses covered, there will also be a per diem and additional compensation (we've reached out to DreamJobbing for details on how much, and will update when we hear back). If you're interested, they're accepting applications from US-based people of all ages and backgrounds; however, it seems the ideal candidate is a millennial (at least, per their promotional video shown above). To apply, you just need to fill out an online application and upload a video no longer than 60 seconds pitching yourself for the role. Casting will be done on an ongoing basis and there's no official deadline for entries, so you'd be wise to throw your hat in as early as possible. Even if you don't get the chance to sample the Bourdain-esque life, it's not like there aren't other incredibly unique dream jobs up for grabs at the moment.